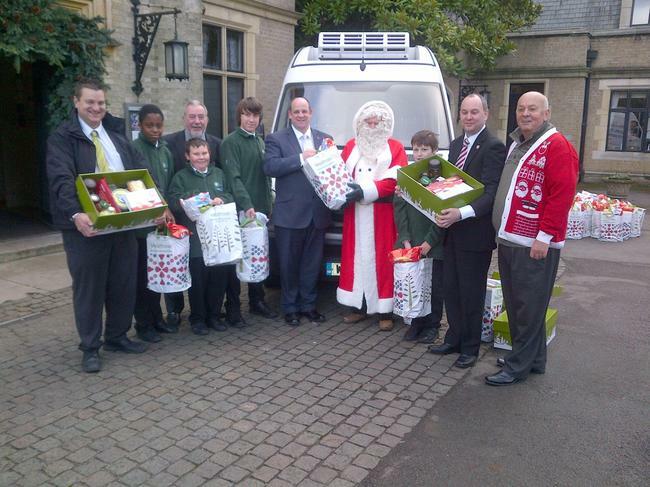 The Abbey School were delighted to receive twenty Christmas Hampers for distribution to some of our families to enable them to have a happy Christmas. We are indebited to Waitrose, Foxhills Golf & Country Club and the Children with Special Needs Foundation for their generous support. In the picture are Mr McCarthy, Mr Gardiner & representative students at the presentation.